This timeless design depicts a lily flower, a symbol of prosperity and abundance. Part of Swarovski's Flower Dreams collection, it will add color and sparkle to any interior. 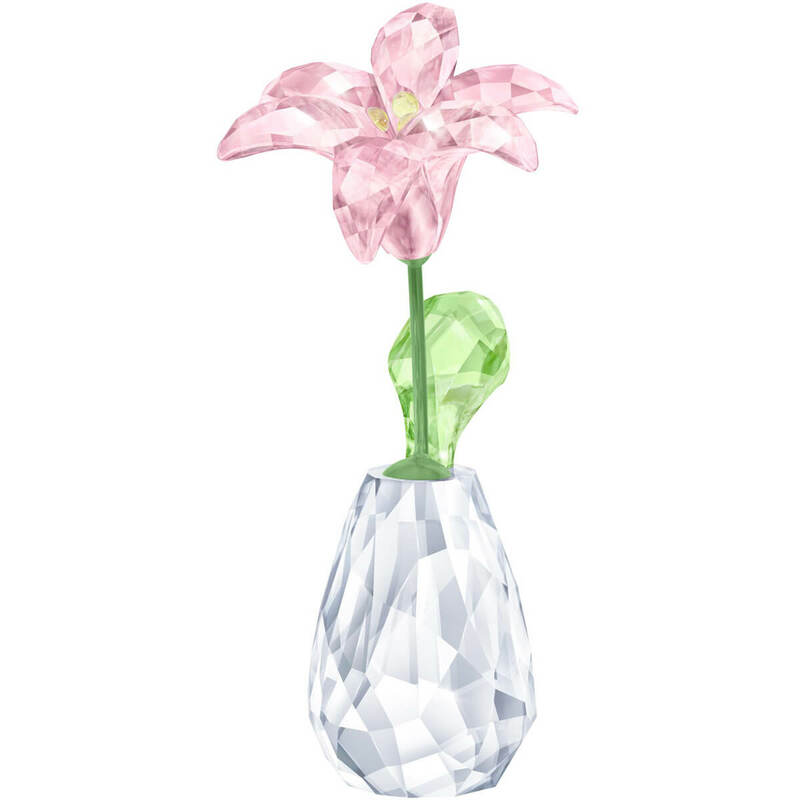 Elegantly displayed in a faceted clear crystal vase, the flower shines in pink and yellow crystal, with a green crystal leaf and a green varnished metal stem.